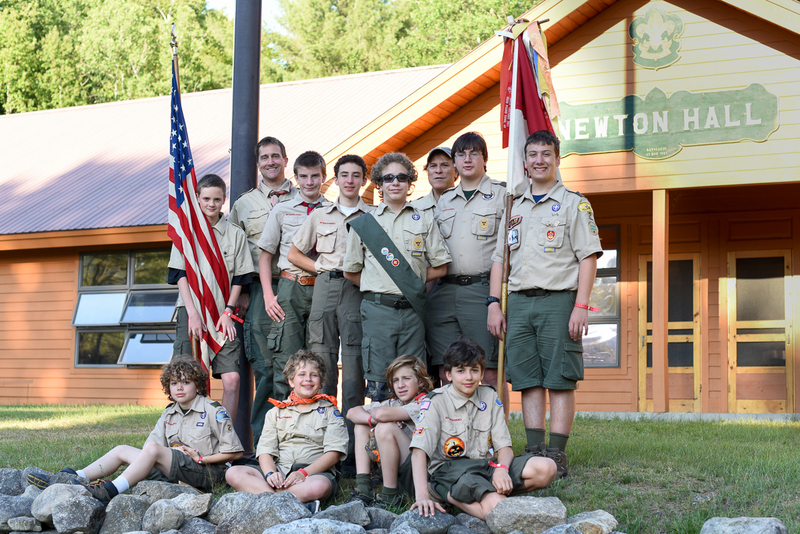 Ten scouts enjoyed a week of summer camp at “Camp Read” in the Adirondacks– eight from our own T2 and two from T1 Hawthorne. These scouts came together as a unit and called themselves the “Fried Chicken Patrol.” Two of our scouts also spent a second week with T24 Dobbs Ferry. All in all, the scouts completed 30-some merit badges and partially completed another half-dozen badges, while in between doing some swimming, boating, climbing, zip-lining, mountain biking, pie-eating, and more. The troop placed second place in the camp-wide Dutch Oven competition. We spent the evening of July 4th off-camp at a carnival watching fireworks in nearby Ticonderoga and made a few before and after camp stops. Not a bad way to start off the summer!